The Island’s Natural Health Elements, are most effective on the east side of the island, where only one Resort is built: Sorobon Beach & Wellness Resort. The east side of the island has an inland salty breeze which creates: “Natural Halo Therapy”; body & mind will be cleaned, healed and peeled with the finest salt and mineral parts taken by the wind from the air above the ocean! This continuous salty breeze (Halo Therapy), promotes better breathing, healthier skin, sounder sleep, rejuvenates, exfoliates and detoxifies your skin, enhanced physical fitness and overall wellness. Besides the Salty Breeze, swimming in the unspoiled Salty Ocean has proven to be one of the best ways to relief stress, it also promotes cellular regeneration, helps to heal a myriad of skin disorders, contains good minerals and magnesium that keep the nervous system running at its best and helps absorb oxygen better. It’s Nature: The Resort is protected and surrounded by a breathtaking Blue Lagoon inhabited with more than 1500 turtles, baby sharks, rays, lobsters, tarpons and spectacular marine life, all nourished by the millions of mangroves that grow along the shore, producing oxygen and offering a perfect balance and climate for marine life to develop. 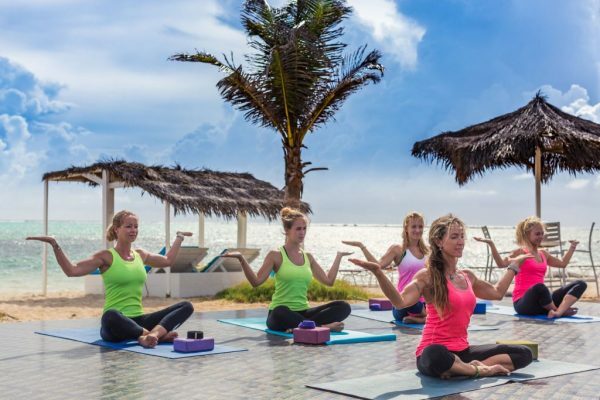 Sorobon Beach & Wellness Resort offers a variation of retreats in which Yoga (& Mindfulness) are mostly included: the Yoga Retreats are run by International Yoga Experts who are passionate in what they do! 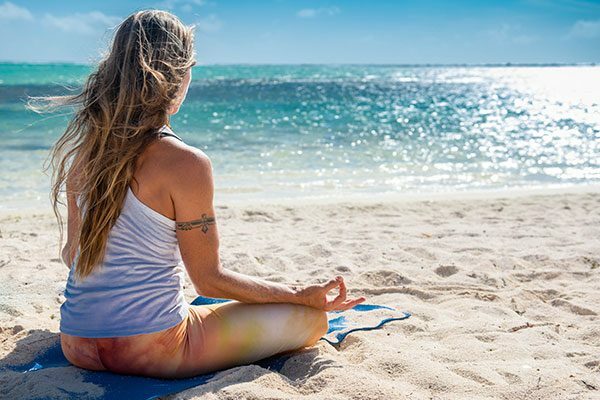 Other Retreats combine Yoga with several types of watersports (SUP, windsurfing, snorkeling, sailing), and/or fitness programs, Spa Treatments, Heavenly Meal Plans (incl. vegan & vegetarian menu’s), Wine Tastings and others. 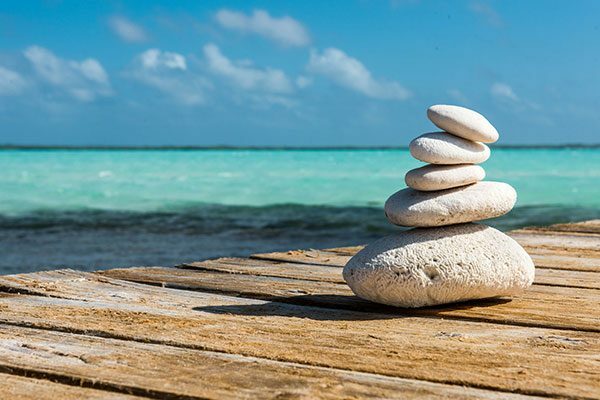 For Private Group requests the Resort offers customized Wellness Retreats & Packages. A retreat serves as the perfect backdrop for a re-inspired wellness tune-up. Not only do these experiences provide a necessary and nourishing escape from busy daily life, but they also provide a new perspective and a serene space for reflection, meditation, healing and thoughtful refueling. The Sorobon Boutique Resort is laid back, “Ocean Front” and situated in the heart of the Beautiful Protected Bay on the tranquil side of the island Bonaire, in the Dutch Caribbean; where swimming can be done right in front of your chalet, just a few steps from your porch. In between, windsurfers sail in and out within the breathtaking Bay. Chalets are built out of wood and natural materials with outdoor rope-slung hammocks, open air showers and no TV or phones provided in the chalets. The private beach is completed with thatched cabanas, beach beds and lounge chairs.